We believe an organization that adapts a growth mindset can position itself to thrive. But what exactly defines a growth mindset? At Emotive Brand, we define a growth mindset as a set of attitudes and behaviors that reflect the belief that an individual’s talent is not set in stone. Talent can be developed. Intelligence can be fostered. Creativity and innovation can be strengthened. Leaders can emerge. People hold potential. This means every employee within an organization has to the ability to develop, grow, and learn. And organizations who believe this seek out individuals who show a capacity for such growth. And we believe that the companies who work to help each of these individuals progress, advance in their roles, take on more leadership capabilities, and constantly evolve their skills and thinking will thrive as a whole. Strong leadership, continual learning, and innovation are key to thriving business today. And not just amongst the C-suite or those in designated leadership roles. Leadership and learning must be fostered throughout an organization in order for that organization to really progress. Although this often starts at the top, it must ring true throughout an entire business. A fixed mindset – unlike a growth mindset – does not encourage any of these ideals. Nor does it allow employees to grow and new leaders to emerge. And less risk-taking, less freedom, less collaboration, and less acceptance of failure – all behavioral symptoms of a fixed mindset – can be detrimental to business. Often times, in business, as expertise increases, individuals struggle more and more to see new solutions or ideas. Learning stalls and this leads businesses to get stuck in their thinking. In order adapt growth mindset that can fuel your organization forward, you must focus on people’s capacity and not their pedigree. As such, recruitment should value people who show a real commitment to learning. These people will help build a learning culture, develop independently, collaborate successfully, and be more able to adapt to whatever challenges arise. Individuals that value learning, and show a capacity and passion for continual knowledge have a natural growth mindset that can move any business towards success. Creating a growth mindset means enabling each individual’s work to be more than just their job. Developing new skills – even if they shift outside of someone’s current daily work – is always valuable. We believe that understanding and learning other roles than your own can help promote empathy, collaboration, and encourage new ways of approaching things. And setting aside time to build skills such as collaboration and leadership is key to making your people more productive and inspired at work. An inevitable part of growth is failure. And adapting a growth mindset means accepting the chance that, in the end, you might fail. But innovation, creativity, and fueling a business forward wouldn’t be possible if people weren’t willing to take risks. And often, this starts at the top. Leaders should set an example but also allow all employees to take on leadership roles – giving individuals the independence and freedom to try things, fail, and learn from their mistakes. Taking on challenges is key. And organizations who view their people as capable of taking on challenges – even if it means failing – position themselves for success. 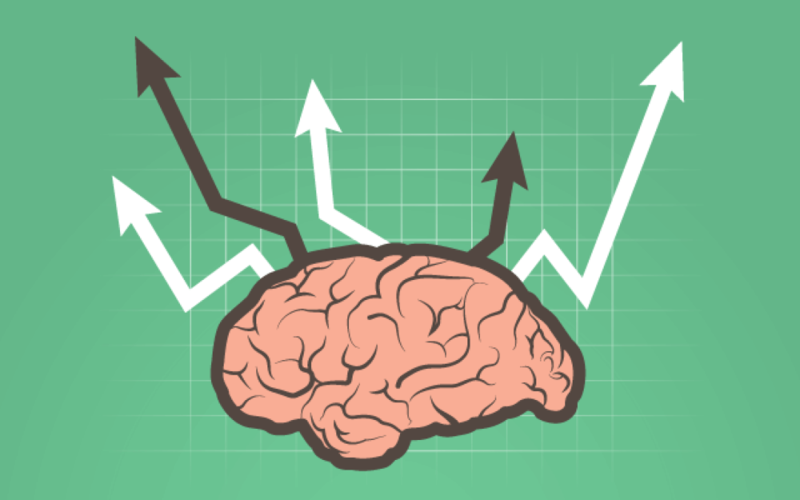 Employees at growth mindset companies feel more committed to their work because they feel they have the potential to grow, learn, and thrive within it. They also feel more motivated to do their best because they know that their personal development and hard work is valued. Any business who wants to position itself to meet goals and objectives, set new ones, continually move forward, and advance needs to adapt a growth mindset to succeed. It’s all about developing, advancing, expanding, and seeing the opportunity and potential in every moment, individual, failure, and success. A growth mindset will move your business forward and position your business, its brand, and its people for growth, profit, and success in the future.